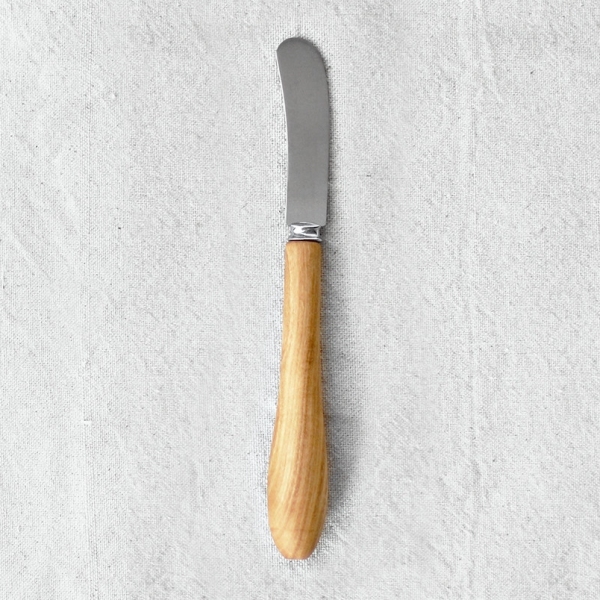 Our soft cheese knife is ideal for serving soft and semi-soft cheeses, as well as for spreading. The wood handle is handcrafted in France from olive wood. Knife measures 7.5” in length.